Last month, my pointless posted a story about a woman in Eau Claire, Wisconsin who called 911 to report that she was driving while drunk. That's right. 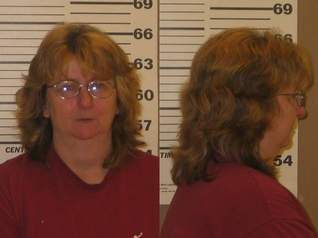 Mary Strey, 49, called the police dispatcher from her cell phone and said that she was drunk and driving. The dispatcher told her to pull over to the side of the road and wait for the police. Mary complied. When the police arrived and gave her a breathalyzer test, it showed her blood alcohol level to be 0.17-- twice the legal limit. Mary was arrested and given a court date. Mary has pleaded not guilty to the charge of operating a vehicle with a blood alcohol level over 0.1. Her defense will be interesting-- perhaps she will claim that the star witness against her was too drunk to be reliable. After all, she had a blood alcohol level of 0.17. I'm sure her defense will revolve around the 5th amendment!